Start healthy, cut out the fat and reduce your sugar. Substitute cooking oil with olive oil and red meats with fish. Secondly, increase vegetable content while decreasing the quantity of meat. Lastly, add additional fruits and vegetables to current recipes or foods and really boost your superfood intake. Many fruits keep well at room temperature, so spread them over several fruit bowls and place them for easy access around your home. Now, hide that cookie jar and fill small containers with mixed nuts. These will become much more appealing when in view rather than hidden away. For breakfasts, top cereals with berries or bananas. For lunch, add fresh greens or salads. For dinner, increase portions of colored or salad vegetables and reduce portions of starchy vegetables and meats. Also, snack on fruits and berries during the day. A quick snack can give a much-needed energy boost. By adding superfood snacks you can keep going for much longer. Dried fruits such as banana chips, apple slices, raisins or nuts are great alternatives to giving you a boost. Baked Chips and Salsa are much tastier and healthier alternative while watching TV. 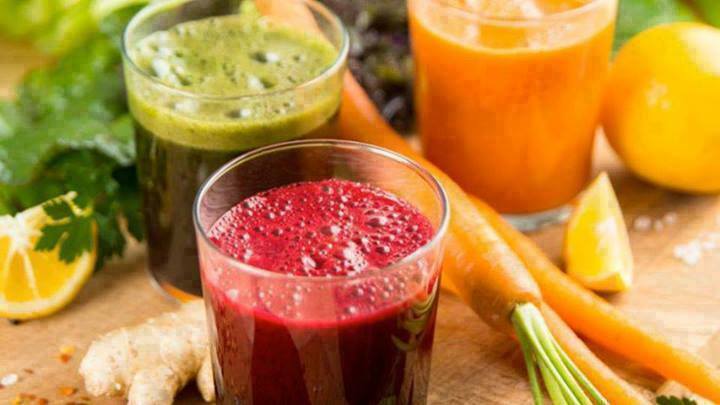 Fresh fruit or vegetable juices are an instant intake of pure superfoods that help you avoid added sugar and enjoy the extra vitamins and minerals. If you miss the fizz, mix the drink with sparkling mineral water. Green tea can also be a great alternative to that afternoon cup of coffee or even green iced tea in summer. If you travel a lot, fast food restaurants can be convenient and healthy at the same time. Choose salad over fries and fruit juice over soda. If dining out in a restaurant, have a salad starter and a fish main course with vegetables. For snacks, mix dried berries, raisins and nuts. Healthy trail mix can even have a few dark chocolate pieces to keep you sweet. Take advantage of the cheaper in-season prices, go overboard with your fruit and vegetable superfood intake, and fend off a cold or the flu. You can also stock up, buy in bulk, and freeze them for later in the year. Frozen fruits make a great addition to superfood smoothies. 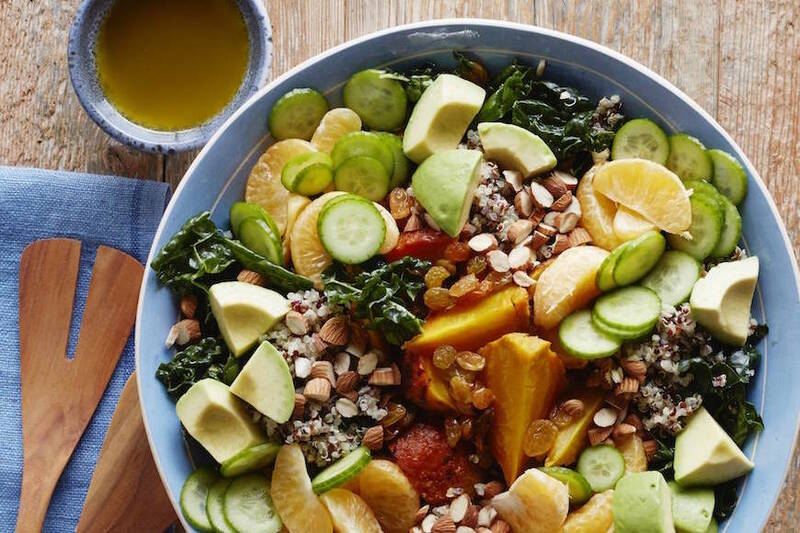 You can transform your normal garden salad into a true vitamin-packed superfood salad by sprinkling it with sunflower, or flax seeds, and drizzling with olive oil. Try adding spinach or dark leafy greens to your regular lettuce. For extra flavor, you can add olives, carrots, and even blueberries or dried cranberries. Raw carrot and cucumber slices, green beans or fresh broccoli can make a great alternative to the normal bag of chips. The secret to success is having these prepared in advance, and serving them with your favorite variety of dips or cheese sauce just as your family is beginning to get hungry. It is the colors of superfoods that provide healthy antioxidants. Vegetable superfoods are green, orange and red, while superfood fruits are blue (berries), red, orange and yellow. Expand your superfood rainbow with nuts and seeds (brown) and fish (pink or white). Eat a variety of colors every day to maximize your nutrition.